Turkmenistan, a hydrocarbon-rich Central Asian, is still hopeful to see its gas reach the European markets, while Brussels counties talks in this regard. Pakistan plans to get the first supplies of Turkmen gas in 2020, Pakistani media outlets quoted Pakistani Minister for Petroleum and Natural Resources Shahid Khaqan Abbasi as saying. 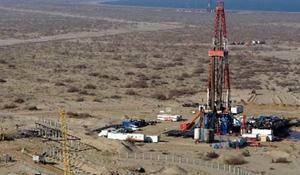 Turkmenistan's gas and gas condensate reserves can be substantially increased thanks to further geological, geophysical and drilling studies to be carried out on the country’s plain lands, as well as within the West-Turkmen cavity. Turkmen gas will fully meet the needs of industrial sector of Pakistan’s economy, said Pakistani Prime Minister Muhammad Nawaz Sharif. Iranian and Turkmen gas will not reach Europe in short or medium term, says Professor Jonathan Stern, chairman and senior research fellow at the Natural Gas Research Program of the Oxford Institute for Energy Studies. Russian Gazprom Export LLC has officially notified the Turkmengaz State Concern about the pre-term unilateral termination of the purchase-sale contract since January 1, 2016, the Turkmen concern said. European markets are currently not a viable destination for the export of Turkmen gas, expert of the British University of Glasgow focusing on the Central Asia, Luca Anceschi believes. Turkish partners show great interest in joint supply of the Turkmen energy resources to the world markets, Turkmen President Gurbanguly Berdimuhamedov said March 4, Turkmen Altyn Asyr TV channel reported. 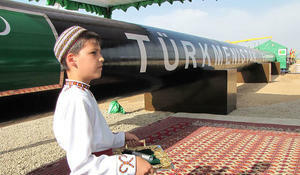 What hampers Turkmen gas supply to Europe? 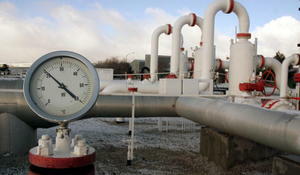 Today, the Azerbaijani gas supply to Europe is a reality that will be put into practice in the next five years.